Japanese crime experts have created a new method of identifying bodies – by checking the soles of the feet. Their identification system involves using data taken from scanning the soles of the feet, which are marked with skin ridges as unique as fingerprints. The method is being proposed as an alternative to fingerprints due to the fact that feet are more likely to be protected and intact than fingers following a natural disaster. The technique was developed by former senior members of Tokyo’s Metropolitan Police Department (MPD). Five years ago Akira Mitsuzane, 68, a former head of the MPD’s first division handling homicides and robberies, joined forces with Hideo Kaneko, 69, a former MPD crime scene investigator, to create such a technique. The idea came about following Japan’s 2011 tsunami, when the pair witnessed numerous cases of family members being given the wrong bodies, with police being forced to rely on clothing or body traits for identification. The proposed system would involve registering and storing the ridge pattern data obtained from scanning the soles of the foot. A portable prototype scanner has already been developed in collaboration with a major electric appliance maker, which can produce instant sole scans and store the data. The scanning involves capturing the ridge patterns from an area under the toes, which is often preserved in a disaster due to thick skin and wearing shoes, according to the creators. 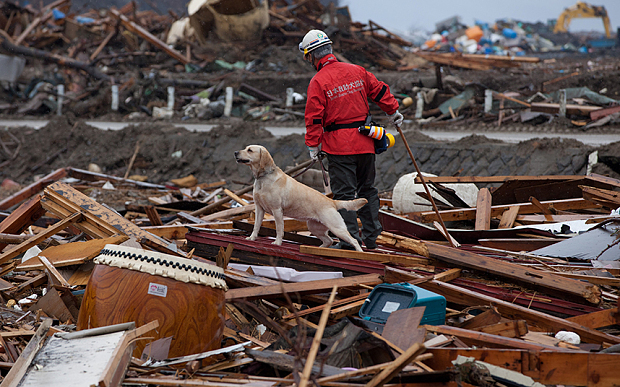 As many as 75 bodies from Japan’s March 2011 disaster were still unidentified by the end of last month, according to Kyodo news. 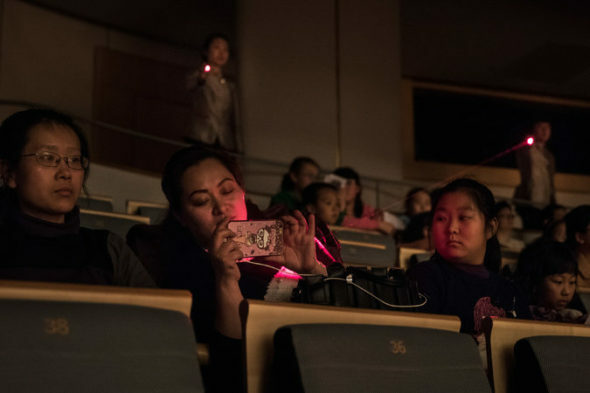 BEIJING —In China, theaters and other venues have adopted what they say is an effective solution to the problem of audience members using cellphones during performances: shining laser pointers on them. Ushers aiming lasers at a patron using a cellphone at the National Center for the Performing Arts in Beijing. The approach varies, but the idea is the same. During a performance, ushers equipped with laser pointers are stationed above, or on the perimeter of, the audience. When they spot a lighted mobile phone, instead of dashing over to the offender, they pounce with a pointer (usually red or green), aiming it at the glowing screen until the user desists. Laser pointers have been used for years as disciplinary devices at many of China’s leading performance halls, including the National Center, the Shanghai Oriental Art Center and the Shanghai Grand Theater. This may be a response to a particularly acute problem here. Audience numbers have surged in recent years, along with the number of new performance spaces. And theatergoers are often noticeably younger than in the United States and Europe, with a corresponding lack of experience with Western-style concert etiquette. The lasers, theater managers say, are part of a larger effort to teach audiences how to behave during live performances. Are the performers bothered by the use of lasers? The key, said Yang Hongjie, deputy director of the theater affairs department at the National Center, is to make ample use of the pointers early in a performance so that offenders (as well as nearby patrons) know what to expect should they dare to sneak a photo. “In the beginning, it was really bad,” Mr. Yang said of the National Center, which opened in 2007. “People would talk on the phone and take photos all the time during performances.” But he and his colleagues found that sending ushers individually to stop patrons was not only distracting for other spectators but also a problem if the offender was sitting in the middle of a row. So in 2008, the center began training ushers to use lasers. It helps matters that many big-name venues employ cellphone-jamming technology, so texting and ringtones are rarely problems. The use of such technology is illegal in the United States, except by authorized federal law enforcement. In the United States, the use of laser pointers is highly regulated. In China, although performing arts associations have issued guidelines, the devices are largely unregulated. The unit, dubbed “Spartan 3000,” can be deployed to any part of the Korean peninsula within 24 hours and was trained alongside US forces during a mass joint exercise with more than 300,000 troops earlier this month. The “Spartan” unit’s main purpose is to destroy “key military facilities” in the North but it has also been trained to tackle natural disasters, according to the Seoul-based news agency Yonhap. “In the past, the battalion-level unit took 24 hours to be deployed across the Korean Peninsula, while the regimental-level unit took 48 hours,” a military official told Yonhap News. “However, the new unit will be able to operate within 24 hours even at the regimental level,” they added. It comes as North Korean state media released images of its leader observing military drills on the hermit regime’s coastline, where pursuit planes and artillery units have been gathered to ward off an attack from the South. The drill was intended to prove that Northern forces could “kill ruthlessly the U.S. and South Korea whenever the group of enemies gives off any sort of sparks on the land,” according to the Korean Central News Agency. “Seeing the daring action of landing units, Kim Jong-un said with pleasure that such surprise landing and attack on the coast would result in a victorious battle,” it said in a statement issued in English. Mr. Kim personally ordered his soldiers to “bury at sea any enemies that attack the land in the coast of the country,” it added. 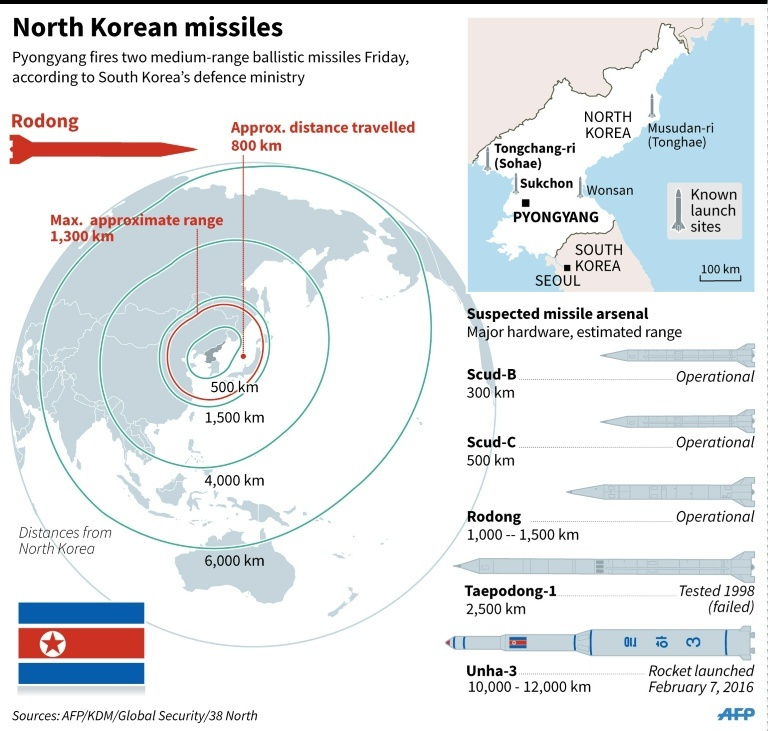 And in a further development of tensions between north and south, Pyongyang fired what appeared to be two medium-range ballistic missiles into the sea on Friday, just days after Mr. Kim ordered further nuclear tests. The following Monday, the regime fired another four missiles into the sea, continuing its response to the joint US-South Korean military drills which it has condemned as provocation. The missiles were launched from Sukchon in the country’s southwest and flew 500 miles into the Sea of Japan, a South Korean defense official said. The UN Security Council has responded to the North’s aggression by imposing fresh sanctions on the secretive regime. b) How/why would investigators be able to use the soles of peoples’ feet as identification? Be specific. c) What gave these men the idea to develop this technique? d) Do you think the Japanese government should gather the footprints of the whole population for this purpose? Explain your answer. e) Would you support or oppose a similar program in the U.S.? (Should the U.S. government do the same?) Explain your answer. b) Why did theater operators begin using laser pointers with audience members using cellphones? c) What do the theater operators hope to achieve with the use of laser pointers? d) Do you think this is a good idea? Explain your answer. b) What is South Korea’s Spartan 3000 unit? What are its capabilities? c) Why did South Korea form this unit? Be specific. d) What is the motive for South Korea’s Spartan 3000: a show of aggression or a means of deterrence? Explain your answer. Lasers can temporarily blind a person or sometimes cause damage: “It’s really only a risk if they hit the eye,” Samuel M. Goldwasser, a laser expert and former professor of electrical engineering at the University of Pennsylvania, said in a telephone interview. That is why, Mr. Yang (of China’s National Center) said, ushers are specifically trained to aim at patrons from behind, in order to avoid the eyes. But when their aim is off, the consequences can be unfortunate. As a result, some troupes, like the Royal Shakespeare Company during its China tour last month, have asked performance halls to refrain from using the devices during their appearances. Yet theater managers here say the lasers are the best solution they have found to a nagging problem. Many say such “uncivilized behavior” will stop only when people improve their suzhi, a Chinese term meaning quality or refinement.